�Its out of the way location is part of it�s charm in a solid brick house trimmed with wrought iron in Southwest Detroit." 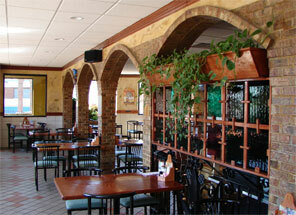 Mi Pueblo restaurant is a colorful setting of archways, terra-cota walls and murals of mexican scenes. Peek in , and see basketsful of chilies, cactus leaves and tomatillos waiting to become part of the menu of caldo de res, menudo, chiles rellenos and tostadas. Tacos come filled with marinated pork, chorizo, chicken and grilled steak. 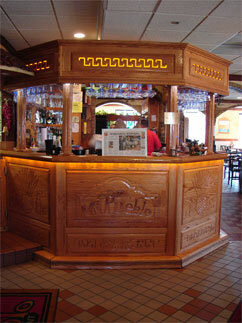 Tortas (sandwiches on thick grilled bread come in more than a dozen varieties. Home made tamales, filled with chicken or pork, have joined the array. The busiest time at the big restaurant, wich seats 150 on the main floor and another 100 upstairs, is often on Sunday mornings, when families crowd in after church. Good thing Mi Pueblo offers a spacious parking lot which is constantly patroled by security guards allowing your visit even more convenient.